Pricing a home isn’t as simple as looking at some data. Here is what you need in order to be successful with it. 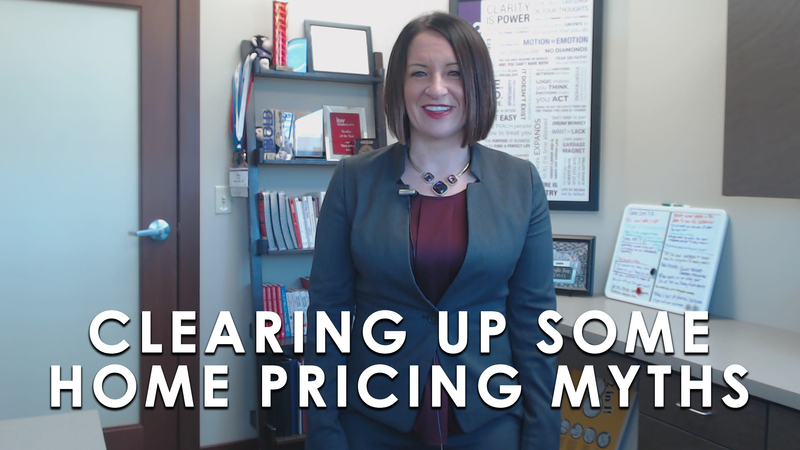 Today I’m back to talk about pricing your home and to clear up some common myths surrounding the topic. When pricing your home, we like to look at what’s going on in today’s market. It’s not all about what the neighbor’s home has sold for in the past. At the end of the day, a home is worth what a buyer is willing to pay and that’s based off supply and demand. It’s up to your real estate agent to do their research to find out where to price your home. They will show comparable homes in the neighborhood and use sold homes as a benchmark. Zillow doesn’t know our market. Another common objection I hear from home sellers is that “Zillow says my home is worth x.” Unfortunately, Zillow does not know our market. Yes, it can take data from comparable homes. However, it doesn’t know, nor does it take into account, the home’s location, the proximity, and a lot of other factors that make up its value. Your real estate agent is the one that needs to do the research to get you an accurate price. If you’re curious about what your home could sell for, I suggest you go to a professional real estate agent first and see if the price they give you makes sense for you and your family. If you have any questions in the meantime or need any help selling your home in the near future, don’t hesitate to give me a call or send me an email. I look forward to hearing from you soon.